IMA goes on record in declaring Tennessee native Binx Walton the newcomer most likely to eclipse the current generation of rising model stars as a true supermodel contender. Walton's stunning debut during the Fall/Winter 2013 collections for a diverse selection of shows hinted at the seventeen year's chameleon-like quality. Walton morphed seamlessly from mod squad Marc Jacobs hipster to latex studded Versace vixen and sophisticated gamine for Miu Miu in a beguiling display of modelling prowess. The Next Model Management-repped beauty has since emerged as a runway tour de force logging 27 and 43 show bookings apiece at the Spring/Summer 2014 and Fall/Winter 2014 collections. 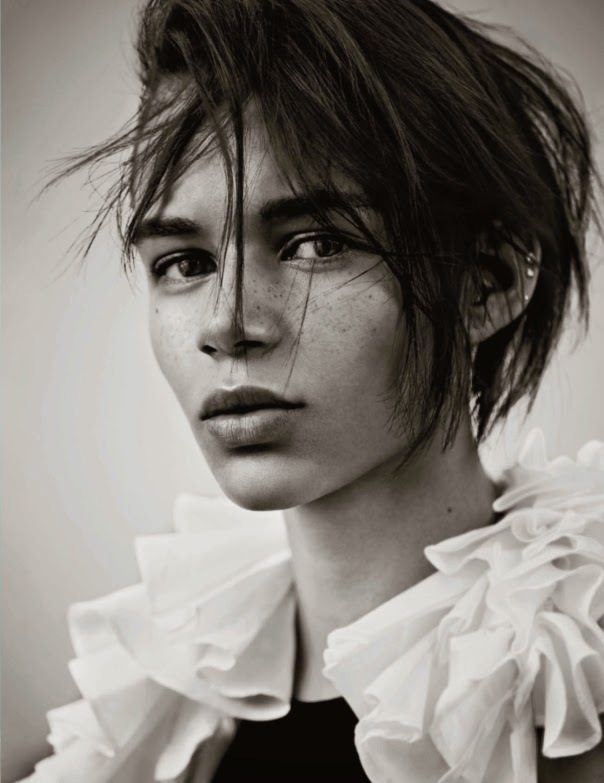 A deluge of editorial bookings for Russian Vogue, i-D, Another Magazine, Paris Vogue, Self Service, Love, and T Style Magazine have seen Walton stepping up her game with the kind of androgynous, high fashion moxie and gumption that has fashion editors, casting directors, and designers rhapsodising in unison. 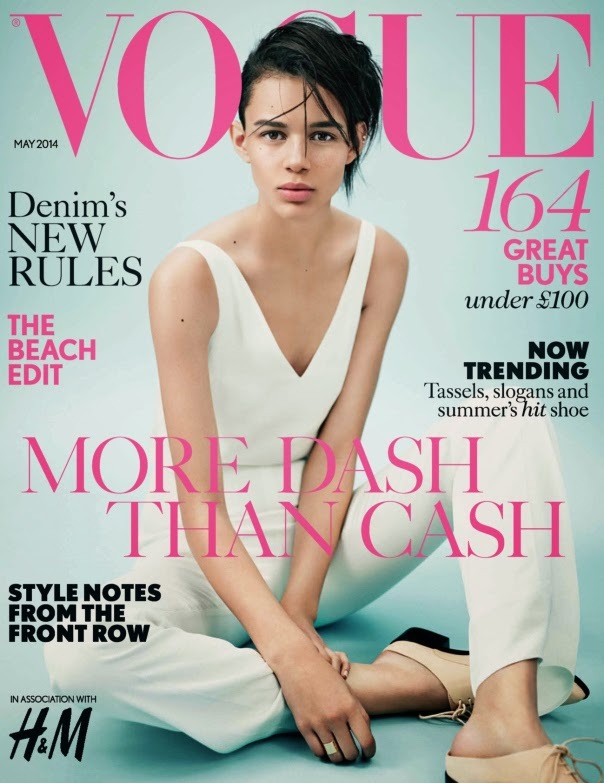 A week shy of her 18th birthday and Walton pulls out all the stops with an aching beautiful display of elegance and poise mixed with a dash of vulnerability in an editorial and cover for British Vogue's "More Dash than Cash" May 2014 supplement. Photographer Rory Payne captures Walton on the cusp of adulthood as she stares straight down the barrel of the camera's lens with a quiet sense of knowing that this is her moment to shine.